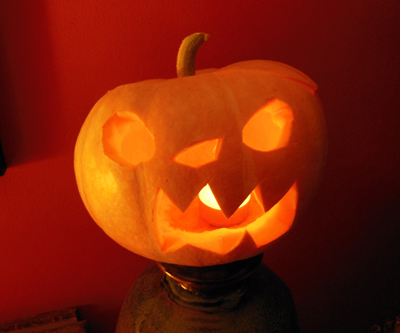 Firstly, I have to apologise for the terrible photo that looks like something a cat has coughed up. I’ve just done a quick Google image search though and I think rice pudding is the least photogenic dessert there is. 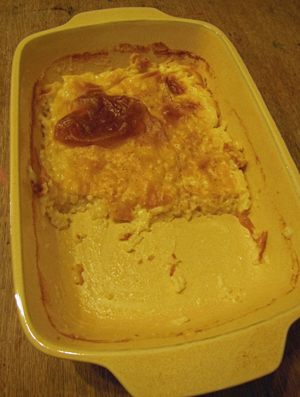 The picture does not do justice to this very delicious rice pudding recipe which comes from a Marks and Spencer ‘Best of British’ cookbook. If you’re a fan then there’s nothing like a good baked rice pudding on a cold wintry day – it has the effect of a warm comfy fleece blanket on your insides. 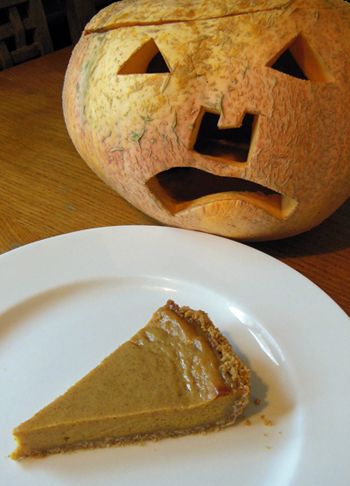 It’s very simple to make and it will make your kitchen smell all homely and wonderful. It’s best to time the cooking so that you can eat it straight away, but it is still good reheated in the microwave. Preheat the oven to 140oC fan. Butter a ceramic baking dish (mine is 20 x 30 cm) and pour in the rice and the sugar. Heat the milk and cream in a saucepan until almost boiling then pour into the dish over the sugar and rice. Add the vanilla extract and stir well until the sugar is dissolved. Cut the butter into small pieces and dot over the surface of the milk. 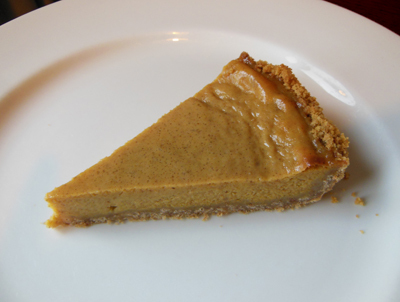 Grate a generous amount of nutmeg over the top. Bake in the oven for 1 ½ hours until the top is well browned. I prefer not to stir during this time so that it forms a nice brown skin. Serve hot with a good dollop of raspberry jam. I know, I know it’s only October – I too hate the fact that supermarkets have their Christmas aisles out as soon as the children have gone back to school in September. I really try to avoid thinking about Christmas until at least November, but this weekend it was so rainy and cold that it seemed like a good idea to get on with making the Christmas pudding which involves being house/stove bound for a whole day. It’s meant to be a fun family activity (at least that’s what my ‘Homemaker’ magazine tells me) and it is in a way, but stirring up with two small children is not what I would call stress free. 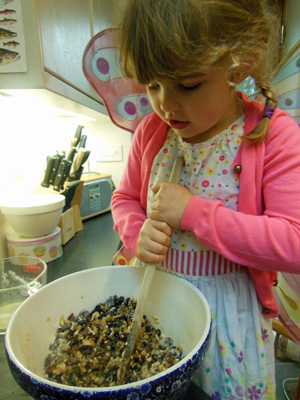 Firstly, they want to eat all the ingredients (raisins and sultanas being a favourite of almost all children), and secondly the mixture is very stiff even for an adult to stir. Eddie sent several spoonfuls flying across the kitchen with the effort making a right old mess. This recipe comes from the safe and reliable Delia. This is the fifth Christmas that I’ve made my own and to be honest I’m never entirely sure whether it really is worth the hassle – you have to steam the puddings for 8 hours!!! But I do think that home made tastes better and I have managed to turn previous Christmas pudding haters with this recipe. And if you look at the economics it does work out a bit cheaper too. The ingredients for this recipe total around £11 (based on my Tesco shop). If you buy the equivalent weight in Tesco finest puddings you are looking at £4 a pudding which means a saving of £5 (however this doesn’t include the cost of having the hob and fan on for a whole day). 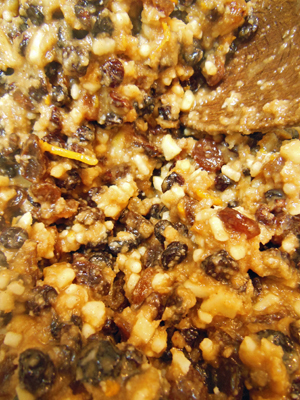 They call the day you make your Christmas pudding ‘stir up Sunday’, but with this recipe you leave the mixture overnight before steaming so it’s best to do the stirring on the Saturday and steam on the Sunday. I make 1 x 2 pint pudding for our family Christmas dinner and two smaller 1 pint ones to give away. If you are making the whole amount above it is best to use two large mixing bowls, measuring half the ingredients into each, otherwise it is really difficult to mix up. Basically you add all the dry ingredients to the bowl in the order above mixing thoroughly before adding the next. Then in a different bowl beat the wet ingredients. Firstly the eggs, then mix in the rum and stout. Empty this over the dry ingredients and stir very hard indeed until the mixture forms a dropping consistency. You may need a little more stout. 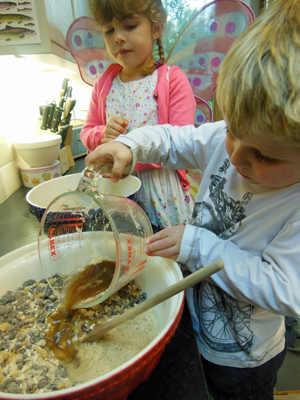 After mixing, cover the bowl with cling film and leave to rest overnight. The next morning divide the mixture into pudding basins greased with a little butter and pack the mixture into them. Cover each basin with a square of greaseproof paper (with a fold in the middle to allow for expansion) and a square of pudding cloth on top*. You can attach these to the rims with string, or I use a thick elastic band. You may also want to make a handle with the string so that you can lift the hot puddings out easily once they are done. Steam the puddings for 8 hours. I don’t have a steamer so I place the bowls on a scrunched up ball of tin foil in a pan with about 2 inches of boiling water and a lid. You need to keep an eye on the proceedings and top up with more boiling water periodically so that they don’t boil dry. After 8 hours leave the puddings to cool. 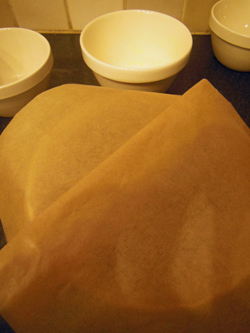 Replace the greaseproof paper and pudding cloth with fresh and store in a cool place until Christmas. On Christmas day you will need to steam the pudding for around 2 hours before serving. *You can buy pudding cloths or muslin squares from Lakeland but they are rather expensive (£5.39 for 10). I use old muslin cloths which I had when the children were babies (well washed of course) which I rip up into squares. I wash and reuse these from year to year. This is just to show the fold in the greaseproof paper which allows the pudding to expand. 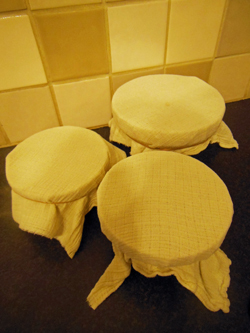 Three puddings ready for steaming. If you want to make a smaller quantity below are the calculations. The difference two years makes. 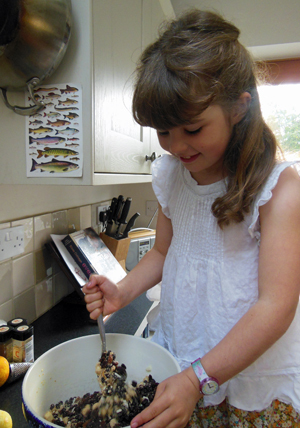 Elizabeth making Christmas pudding 2015. As much as I love both my father and my husband their characters are poles apart. My dad is very practical and likes home improvements, electrical gadgets and precise detail. He reads the latest thrillers by Dan Brown and John Grisham and enjoys mowing the lawn and visiting the tip. My husband, on the other hand, loves factual history books, literature, antiques and art pottery. He detests modern technology and DIY makes him very, very cross. There is however one thing that they have in common and that’s their love of Eve’s pudding. Both would name it as their favourite dessert and it’s a sure fire way to make them both very, very happy. There’s really not much to love about this traditional English pudding. 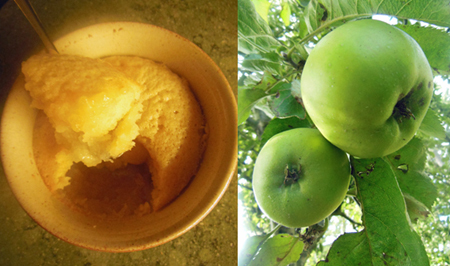 Delicious, slightly tart apples with a lovely gooey sponge topping. Apparently the name refers to Eve in the bible and the apples are those from the tree of knowledge. I’ve tried making this with other stewed fruit at the bottom such as rhubarb and gooseberry but it just isn’t the same. Peel, core and chop the apples into chunks about half an inch square. Add the apples to a saucepan along with the butter and sugar and cook on a medium heat with a lid on until the apples are soft. I like there to be a mixture of mush and apples still intact. Test the mixture for sweetness and add more sugar if necessary remembering that the topping is very sweet and this will counter balance some of the tartness in the apples. 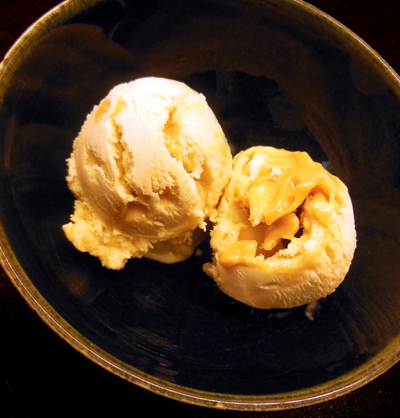 Transfer to a lightly buttered ceramic baking dish (about 1 1/2 pints). 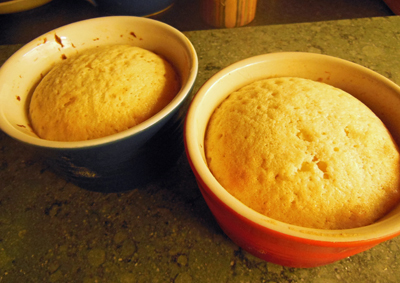 You can also divide the mixture up into ramekins for individual portions (this recipe makes 6). 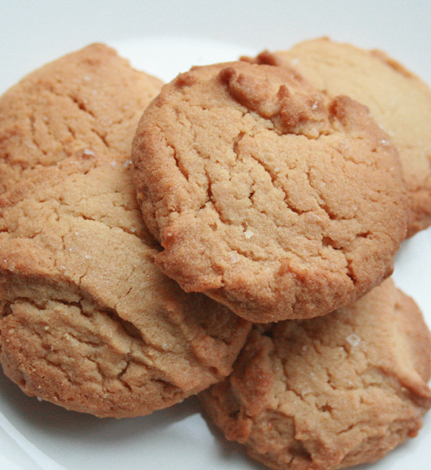 For the topping, put the butter, self-raising flour, sugar and eggs into a large mixing bowl and mix with an electric hand whisk until incorporated, be careful not to over mix. Add a spoonful of warm water to the mix and give it another quick whisk. Spoon the mixture over the apples and cook in the oven. How long you cook the Eve’s pudding is a matter of taste. If you’re doing it by the book then 30-35 minutes is the suggested time. You then serve with cream or custard. In our family though, we like the sponge to still be runny in the middle. This also makes a sort of custard/sauce so you don’t need any accompaniment. If you think you would like this (think the deliciousness of uncooked cake mix) then 25 minutes should do it (or 15-20 minutes for ramekins).